Manual snap cutter allows you to make accurate straight cuts. 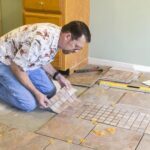 There are three basic techniques and tools for cutting tile. 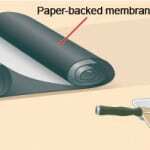 Ceramic, quarry, and most porcelain tiles can be cut using the methods described below. 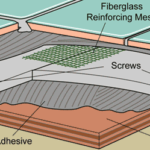 Stone, terracotta, cement, and certain porcelain tiles should only be cut using a wet saw. If you are cutting porcelain tiles, ask your dealer which techniques and tools you can use. Always wear safety glasses when cutting tile. A handy tool for making straight cuts is the manual snap cutter. You can buy one of these at a home improvement center or online for from about $70 to $175, depending upon quality. To use a snap cutter, mark the line to be cut on the tile. Place the tile firmly against the front guide of the snap cutter. Lift the handle and depress it to score a single, continuous line across the entire tile. Depress the handle again and the tile will snap into two pieces. If you are cutting several tiles to the same dimension, simply clamp the cutting fence into position for the first cut and then position the succeeding tiles against it. Be sure to brush away the debris after each cut. Tile nippers make irregular cuts along the edge of a tile. To make a cut that a snap cutter can’t make—usually 1/2 inch or less from a tile’s edge—use a tile nippers (also called a nibbling tool) after scoring the line with the snap cutter. This tool is indispensable for making irregular cuts, cutouts, and notches. Tile nippers cost from $10 to $25. 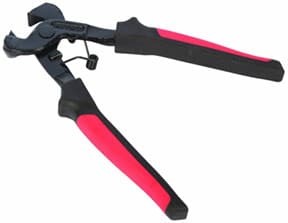 You can buy tile nippers online. Though cuts made with tile nippers are not as clean as those made with a snap cutter or wet saw, they are close enough for most applications. To make a cut that runs both across and down a tile, first use a snap cutter to score the lines. Then nibble away slowly from the area to be removed. 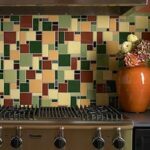 A large bite risks shattering the entire tile. When you work your way to the scored lines, you can make your cuts more precise. Inexpensive wet saw (about $90 online) eases making straight cuts across ceramic tile. The most precise cuts come from a wet saw. 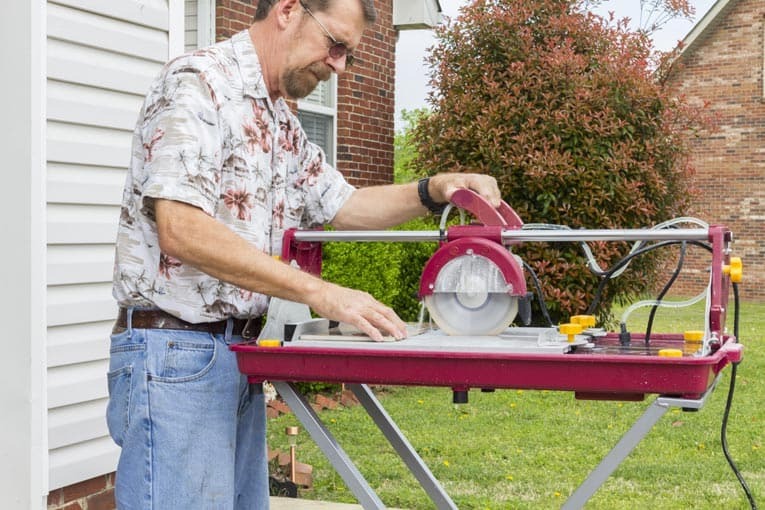 Wet saws are readily available for rent at most major home improvement centers or you can buy a budget-priced wet saw online for as little as $60. For a professional quality wet saw, you’ll pay more than $500. If you’re doing a small job, a budget wet saw will probably suffice; if you have a lot of tile work to do, you’re better off renting or buying a professional-grade tool. 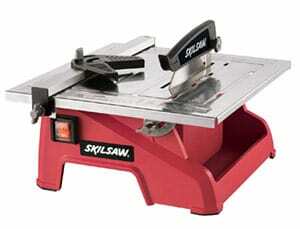 The best wet saws have a pump that continuously squirts water onto a diamond blade to keep the blade sharp. Inexpensive wet saws have no pump but rather keep the blade partially submerged at all times. If the saw has a splash guard, it can be used indoors, though there will still be some scattered spray. In most cases, you’re better off setting up your wet saw outdoors because of splatters and dust. 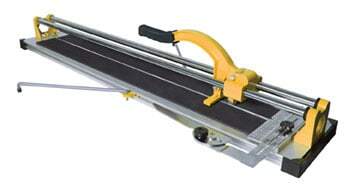 Radial-arm wet saw is easy to use for making straight cuts across ceramic tile. Set the wet saw on a level, stable surface. If the saw has a pump, set it in the pan, fill the pan with water, and test the pump before making any cuts to be sure it supplies a steady stream of water to the blade. 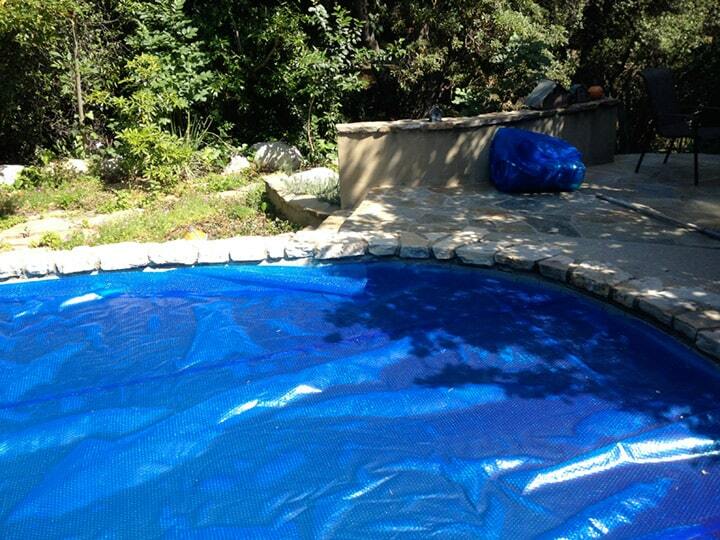 For a saw without a pump, fill the pan to the recommended level and maintain it. Change the water after every 20 to 30 cuts. Mark your cutting line on the surface of the tile and cut the tile right-side up. To cut straight, position the tile on the guide tray, pulled back from the blade. Turn the saw on and, holding the tile firmly against the guide tray, slide it forward through the blade, allowing the blade to do the work (don’t force it). To cut angles, switch to the saw’s angled, protractor-like cutting guide. Cut a notch by making a series of parallel cuts, about 1/4 inch apart, within the cut-out area, then finishing with a tile nipper. When making the parallel cuts, hold the tile so that it is angled steeply, allowing the blade to cut through deeper on the tile’s back side.